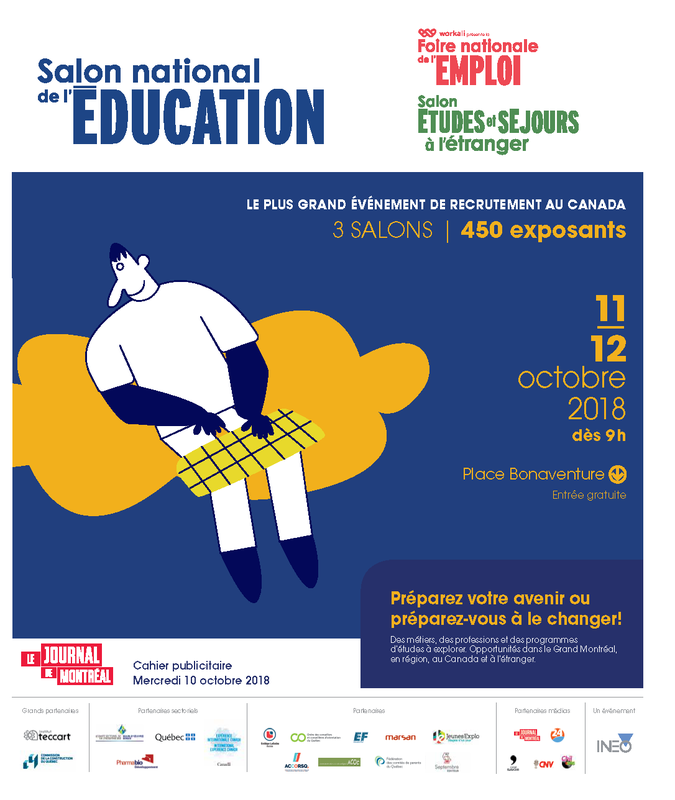 The Official Show Guide of The National Educatio Fair, produced in collaboration with Le Journal de Montréal, is inserted in the daily one day before the Fair. Tabloid format, this special issue will include, among other informative articles, descriptions of content and activities of the Fair, the schedule of special events, the floor plan and the list of exhibitors, partners and sponsors of the National Education Fair, T he Study & Stay Abroad Fair and The National Job Fair. presented jointly with The Study & Stay Abroad Fair and The National Job Fair (available in French only).